Three of Preservation Treatments’ CSSW qualified Surveyors attended this widely-anticipated event at the BRE establishment on 3rd July 2017. 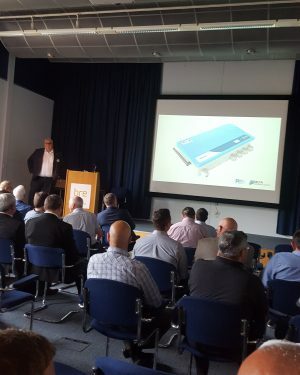 Firstly, what a great place to launch new equipment such as this and we would like to thank those at Delta Membranes for their kind invitation. A place like the BRE is so well known throughout the building industry for innovation and testing. Also, there was plenty of room to move around and meet up with old acquaintances from within the industry. The main meeting room was spacious and comfortable and more than adequate refreshments were provided. 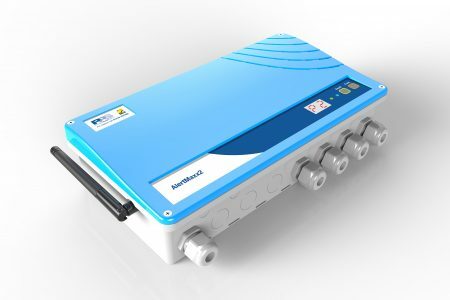 The AlertMaxx2 will collect over 10 different parameters and variables using industry leading smart sensors and also utilises the data provided by the pumps themselves. 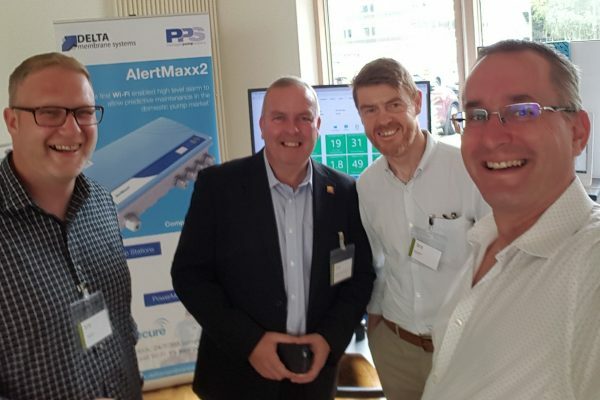 The system has been designed to incorporate a ‘heartbeat’, so every 15 minutes data is transmitted to PumpSecure to inform them that a specific system is alive and fully functioning. If this critical piece of data is missed, PumpSecure uses intelligent algorithms to determine if the specific site requires attention based on previous data collected from the AlerrtMaxx2. The ability for the AlertMaxx2 to health check the pumps automatically via a state of the art sensor built in to the device. We believe this new model will offer very real benefits to our clients in the coming months and years.